Today, the United States Navy commando known as the SEAL is the ultimate precision weapon. Versed in many different forms of training ranging from HALO jumping, sniper roles, demolition expertise, counter terrorism, as well as direct combative roles, the Navy SEAL is arguably one of the most elite Special Forces soldiers in the world. 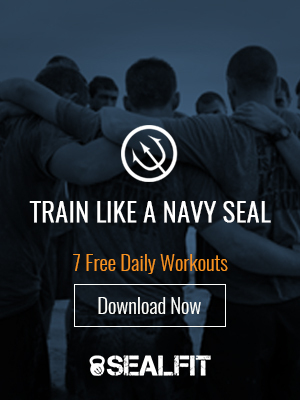 Highly trained and highly motivated to get the job done, SEALs represent the pinnacle of human performance. However, this greatness was not achieved instantly. Ever since the creation of the Underwater Demolition Teams (UDTs) and the Naval Combat Demolition Units (NCDUs) on the eve of America’s involvement in World War II, everything was far from refined. Being a completely new concept for warfare, the men of these units had to learn on the run through countless trials and errors. As tough and new everything seemed to these men, they would be led by one Draper Kauffman, whose pioneering with the handling of explosives would help take these demolition men and forge them to become the forefathers of today’s modern Navy commandos. Following the attack on Pearl Harbor on December 7, 1941, America’s military was preparing its forces for a planned invasion in Europe and North Africa, as well as Japan. Concentrating on the European Front, a large amount of troops would be dropped in by plane, while the majority would exercise an amphibious landing on many of the enemy’s occupied beaches. One major problem arose though, that no one had encountered before with this kind of operation. In order to ensure the protection of the beaches in France and North Africa, the Nazis has constructed large, elaborate obstacles all along the beaches and in the water. These beach obstacles were designed to stop landing craft and tanks from getting close to the shores, leaving them open to enemy fire, with barbed wire and stakes rigged with anti-personnel explosives to hold back troop movements. Since it was the Navy’s job to get troops to the shore, the Navy turned to Draper Kauffman for a fast solution. Draper Kauffman was America’s first expert on explosive ordinance disposal (EOD). Originally graduating from Annapolis and being denied entry into the U.S. Navy due to his weak physical nature, Kauffman volunteered to be an ambulance driver in France during the outbreak of the war. After a brief stint as a prisoner of war for the Nazis, Draper was released and made his way to England and volunteered for the Royal Navy Volunteer Reserves. Joining the mine and bomb disposal unit, Kauffman made his way through bombed ruins to diffuse German bombs that had failed to explode during the Battle of Britain. Following his stint in England, Kauffman was eventually picked up by the United States Navy. One month after being made a commissioned officer in the U.S. Navy, Pearl Harbor was bombed and Kauffman was sent in to diffuse one of the unexploded bombs left over by the Japanese for study. This earned him a Navy Cross and helped him establish the first Navy and Army bomb disposal schools (forefathers for today’s military EOD schools). His expertise with explosives also got the attention of the Navy, more specifically Capt. Jeffery C. Metzel on Adm. Ernest J. King’s staff, who charged him with coming up with a solution to quickly destroy German beach obstacles. “Pick a place to train your people, probably an amphibious base, and you can have anybody you want, but don’t forget speed is essential; speed is the core of the whole thing.” Without any more information except data about the obstacles and that speed was a necessity, Kauffman packed his bags and made it down to a prospective amphibious base in Florida named Fort Pierce in early June of 1943. Located on the East Coast, Fort Pierce was an amphibious base that housed the Amphibious Scouts and Raiders, an experimental joint Army-Navy volunteer unit that would specialize in amphibious reconnaissance and assaults using small new inflatable rafts. The Amphibious Scouts and Raiders’ school also offered a unique method for selection of the best and willing men that caught Kauffman’s eye. By subjecting would- be candidates to intense physical and mental training, many would break under the pressure and quit the program, leaving those who were truly committed to advance further in their training. A program such as this was extremely appealing to Kauffman, who was set on modeling his school after this principle of putting men through hellish training to get the best ones possible. Now that the decisions on the location and approach to this new demolition school were made, Kauffman would just have to find a way to set up the program without stepping on too many toes, a feat that would prove challenging in the following days. After Kauffman reported to Washington that he had found a place to set up a school, he began to encounter some resistance. He was offered a portion of land to use as a school as well as given a few islands offshore to use for exploding as much demolitions as he wanted, which he took. What he had failed to do was report his presence and his would-be activities to the commander of the amphibious base, who was located in Norfolk. “When the latter found out, he wanted to know who in the hell this damned reserve lieutenant commander thought he was, making decisions on the use of amphibious bases.” Kauffman also had conflicting feelings about his rank and running the demolition school. His rank as lieutenant commander was considered low grade for someone in charge of a school, but since this school was a new concept, he tossed those feelings out the window and looked toward more positive goals. Grabbing some of his closest and most trusted comrades, Kauffman went to the EOD schools he had established to plunder them for the most gifted and clever men. The teachers of the schools were not so willing to give up their best students. But knowing the circumstances of a secret operation and with Kauffman given full access by high command to do whatever he needed to set up his school, the teachers of the EOD schools complied and sent their best and brightest to Fort Pierce to be ready for anything. Eventually word of mouth would pass on soldier to soldier about a top secret assignment that needed the best and brightest volunteers. Anyone who dared was to be reassigned to this mysterious camp. For the new recruits coming in, the newly formed Underwater Demolition School at Fort Pierce was anything but what they expected. Not only were the men to train in an extremely hot environment near a mosquito-infested swamp and live in an abandoned casino until adequate tents were constructed, but selection and elimination were to begin immediately. Kauffman needed to get the best men and in short time, which meant finding a way to weed out those who didn’t belong. His golden ticket to this purpose would mean to make use of the ideals of hellish-style physical and mental indoctrination training from the Amphibious Scouts and Raiders School. However, the Amphibious Scouts and Raiders School indoctrination took one month to complete; Kauffman compressed it into a week and carried it out on the first day of training. “Oh So Solly Week,” “Motivation Week,” and “Hell Week” as it was (and still is) called was the most brutal physical and mental training that any of these sailors had encountered before in the military. “Trainees are constantly in motion; constantly cold, hungry and wet. Mud is everywhere — it covers uniforms, hands and faces. Sand burns eyes and chafes raw skin. Medical personnel stand by for emergencies and then monitor the exhausted trainees. Sleep is fleeting — a mere three to four hours granted near the conclusion of the week.” Happening within the first day of training too allows the inductees to decide whether or not they are cut out for the kind of intensity required to get their top secret work done. Aside from the nightmare of the selection process, Kauffman believed that in order to be in the same boat as his new recruits, every man from his fellow officers and enlisted men to the new instructors including Kauffman himself would all go through this training together as teammates in the first class that the Demolition School produced. Officers and enlisted men training together was not normal practice and actually was looked down upon. Even in modern times, this is the only selection process that requires both officers and enlisted men to train together. Nevertheless, Kauffman believed that in order for everyone to work together for the common good of the mission, they must all suffer together in trying to get there. And suffer they did! Numerous amounts of Physical Training (PT) from running miles in the sand, swimming for hours on end, to running around carrying inflatable boats on their heads. One such practice called Log PT (adopted from the British) involved a group of men training while constantly holding on to a section of a telephone pole. This being a completely new concept for warfare, Kauffman knew that any idea was worth listening to and the idea of improvisation would stick throughout training and war as a cornerstone of the program. One improvisational idea to easily transport the explosives from the water into the beached obstacles or mines was the Haversack Pack, thought up by a Lt. Higginson. “Higginson was the name of a Navy lieutenant who devised a pack which held eight blocks of Tetritol (early plastic explosive). Each block weighing two and a half pounds, so the pack carried around twenty pounds of explosive.” Wrapped with enough detonating cord call Primacord to ensure you were safely out of the blast radius, the explosion would often generate a 400-foot plume and would decimate anything in its blast radius. However, packing enough explosives to blow up anything wasn’t the only talent that got the attention of the military High Command. Known as the “naked warriors” due to their light use of equipment (bathing suit, knife, swim fins/mask, and their occasional explosive charges), these men made up for what they lacked in firepower with skill. Spending most of their time in the water, the men from the Underwater Demolition School exhibited amazing talents including hydrographic reconnaissance, the talents to create diversions, and the ability to conduct stealthy assaults from the surf. After seeing these talents the Navy High Command split up the men into two groups. The Naval Combat Demolition Units would be used to support the Army’s effort in the European front and the newly created Underwater Demolition Units would help support the Navy and Marine Corp’s island hopping efforts in the Pacific Theater. Finally, the prospect of getting to see action after all the training would seem uplifting. However, as both demolitioneer groups would head out to their respective theaters of battle, they would both have their fair share of successes and failures. In March of 1944, Underwater Demolition Teams made their way to the Pacific to assist the Marine and Navy Divisions. However, when they got there, the beach obstacles they were trained to demolish were the least of their problems. In early 1943, The Navy and Marine Corps were experiencing major failures when it came to the amphibious assaults on the Pacific islands, especially that of Tarawa. Aside from a number of partially submerged obstacles in six feet of water, the Japanese used the coral reefs surrounding the island as natural barriers that prevented landing craft from getting through. Once stuck on the reefs, the landing crafts would be easy targets for gunfire and the Marines wading ashore either drowned or were shot. Not wanting to make the same mistakes twice, the UDT teams were brought in at the request of the Navy. Using their talents, the UDTs went to work blowing up sections of the reefs to make channels, taking core samples of the sand, and doing hydrographic recon missions checking for mines. Using the UDTs as decoys to fool the enemy also became a new tool at the amphibious force’s disposal. “As stealthy as the scout UDTs were, the enemy often figured out they had been there (and sometimes caught them in the act). So the Navy also used UDTs as a deception. These “beach jumpers” were sent to reconnoiter beaches that were not going to be invaded in order to confuse the enemy. This worked quite well.” Many of the UDT’s missions were successful in clearing the beaches of obstacles and enemy personnel for the Marines but at the cost of many demolitioneers’ lives. These harsh lessons would be felt even worse by the NCDU teams in the European Front. In supporting the countless allied amphibious operations of World War II, many demolitioneers lost their lives to ensure that every soldier made it to the beach safely. Being the first ones into a fight, the demolitioneers’ skills of speed, stealth, and accurate explosives placement was necessary for their survival to get the mission done. It was because of Kauffman and these men with their ability to improvise with a “Can Do” attitude that their direct descendants today known as the Navy SEALs have inherited those abilities. Nevertheless, no matter what new level of fighting and intensity Special Forces warriors like the Navy SEALs may be on in today’s battlefields, they humbly owe it all to those wild, brave, and explosives-packing demolitioneers of World War II. Admiral King instructing Kauffman to start a demolition school. Page 77. Transporting the Plastic explosive. Fred Ferber, Combat Scout and Demolitioneer, UDT 19. Weaponology, Navy SEALs, Military Channel. The Equipment of the demolitioneers. Fred Ferber, Combat Scout and Demolitioneer, UDT 19. Weaponology, Navy SEALs, Military Channel. The Perfect Solider, Special Operations, Commandos, and the Future of U.S. Warfare. James F. Dunningan. 2004, Citadel Press Books, Kensington Publishing Corp.